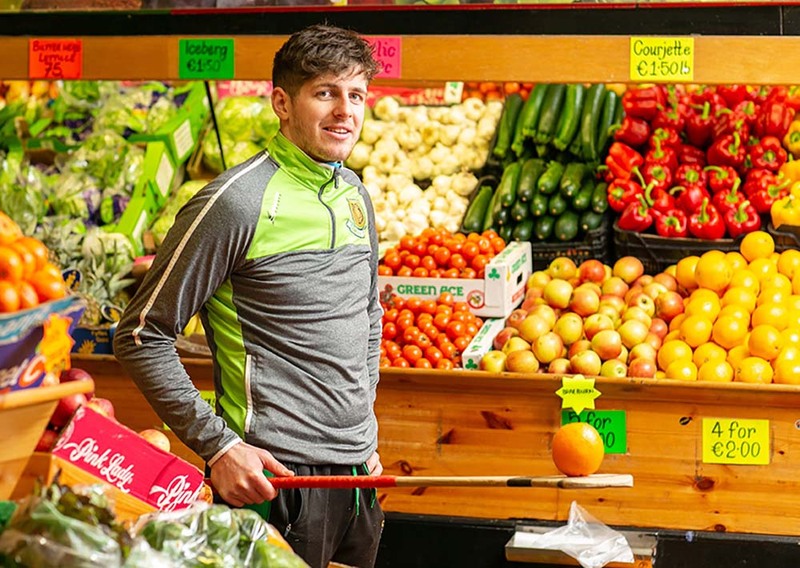 Podge Collins has returned to the Clare footballers starting team for Sunday's Munster semi-final. Photograph by John Kelly. A MAGNIFICENT second half display helped Clare to a four point win over Antrim in Creggan on Sunday, ensuring promotion to division 3. 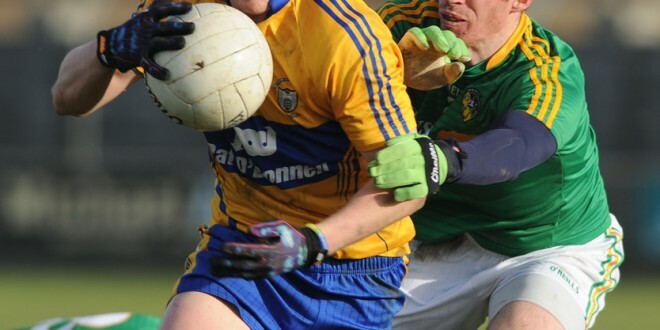 Having played division 4 football since 2008 this win was a huge boost to Clare football as it was the county teams fourth recent attempt to secure promotion on the final day of the season. They lost out in 2010, 2012 and 2013. Clare’s second half display was led by excellent performances from half time substitute Podge Collins, who scored two points from play, Shane McGrath, Gary Brennan, along with wing back Ciaran Russell, who had a superb game. Things didn’t look quite so positive at half time though. Clare led 0-4 to 0-2 having played with a very strong breeze at the Antrim venue. Incredibly the game was scoreless until the 19th minute when Martin O’Leary pointed a free. 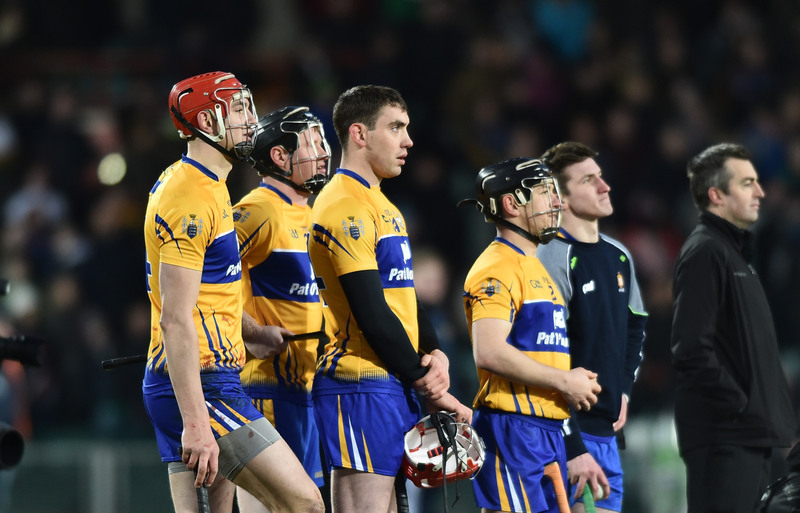 Clare kicked 13 first half wides, while David Tubridy, Seán Collins McGrath added their other first half points. In a game in which Clare enjoyed 60% possession, they didn’t translate that into scores in the opening half. However they played much better into the breeze in the second half, running at Antrim and looking fitter as the game wore on. McGrath scored two second half points while Podge Collins added two inspirational scores. David Tubridy notched the last two points of the game, one from an injury time penalty, won by Gary Brennan. Not great in the first half, Clare were magnificent during the second 35 minutes showing resolve and maturity in a taxing situation. They now play Tipperary in the division 4 league final in Croke Park on Saturday April 26. More importantly though Clare will play division 3 league football in 2015. 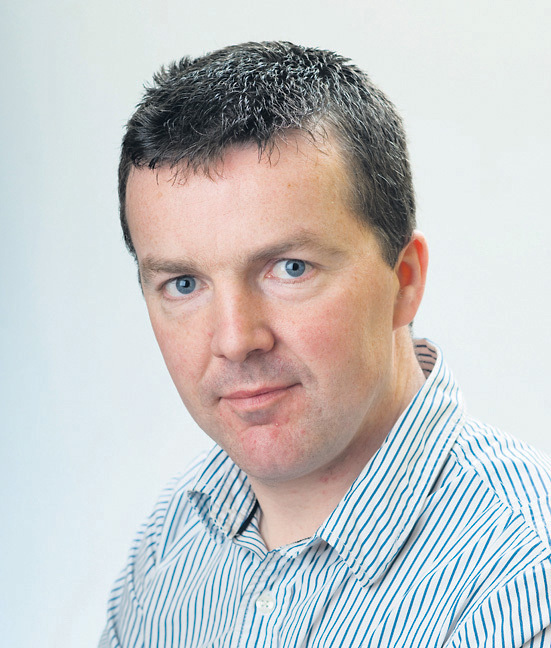 Clare: Pierce Deloughrey; Dean Ryan, Kevin Hartnett, Martin McMahon; Shane Hickey, Gordon Kelly, Ciaran Russell; Gary Brennan (captain), Cathal O’Connor; Seán Collins, Jamie Malone, Shane McGrath; Martin O’Leary, David Tubridy, Enda Coughlan. Subs: Podge Collins for Jamie Malone, Shane Brennan for Cathal O’Connor, Podge McMahon for Martin O’Leary. Scores: Shane McGrath (0-3), David Tubridy (0-3, 0-1f, 0-1 pen), Podge Collins (0-2), Seán Collins (0-1), Martin O’Leary (0-1f). Antrim: Ronan Hanna; Kevin O’Boyle, Richard Johnston, Oisin Hamill; Declan Lynch, Martin Johnston, James Laverty; Niall McKeever, Seán McVeigh; Ryan Murray, Mark Sweeney, Tomás McCann; CJ McGourty, Brian Neesan, Michael Pollock. Subs: Niall Delargy for Kevin O’Boyle (black card), Philip Maguire for Tomás McCann, Tony Scullion for Oisin Hamill, Conor Murray for Brian Neeson, Mark McGarry for Tony Scullion (black card). Scorers: Michael Pollock (0-2, 0-1f), James Laverty, Tomás McGann, Brian Neeson, (0-1 each), CJ McGourty (0-1f).